The Nobbies boardwalk and the best views of Phillip Island`s rugged south coast. Upgrade to the NEW Antarctic Journey! Its business as usual on our Great Ocean Road tours but due to heavy rain and flooding a small section of the Great Ocean Road is closed. We have altered our itinerary to safely continue to show you the best of the Great Ocean Road has to offer. Can’t decide between going to Phillip Island to visit the Penguin Parade, or heading down to the Great Ocean Road to see the Twelve Apostles? Why not do both! 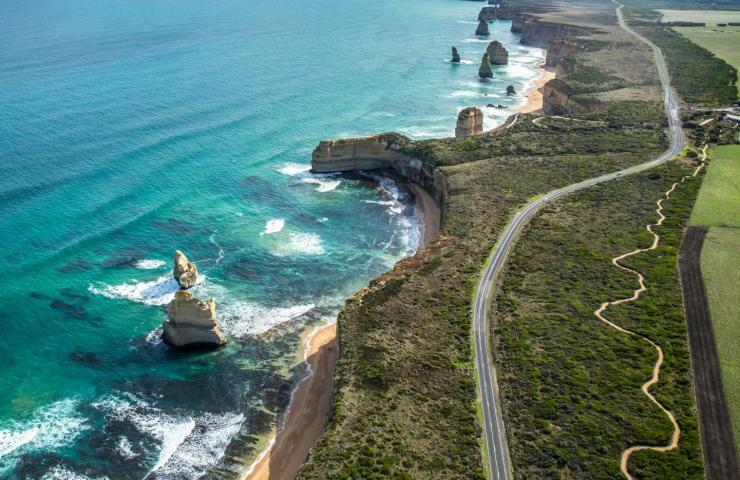 Our two day/one night Great Ocean Road and Phillip Island Tour lets you do both without the hassle of coming back to Melbourne, getting up early for another hotel pick-up, PLUS you get to stay down at the beautiful coastal region of the Bellarine Peninsula. Visit the Mornington Peninsula, seeing the iconic Bathing Boxes, and cross Port Phillip Bay by boat. If you are lucky you may even get the chance to see dolphins, sea birds and sometimes even whales! Highlights of the tour include everything you’d expect from both the Great Ocean Road and the Phillip Island tours. So on day one you’ll visit the Twelve Apostles, Gibson Steps, Loch Ard Gorge, Otway National Park, beaches of the Surf Coast, staying overnight at the Bellarine Peninsula. Day two takes you across Port Phillip Bay from Queenscliff to Sorrento, and up the Mornington Peninsula. First stop is Moonlit Sanctuary to meet some iconic Australian wildlife and then we head for Phillip Island. * The double upgrades are per person and based on 2 people per room. Bed-linen & towels are supplied, toiletries are not included. Upgrades are subject to availability at time of booking. Our tour departs between 7.15am - 7.30am from Tour Office and returns seasonally between 9.30pm & midnight on the following day. 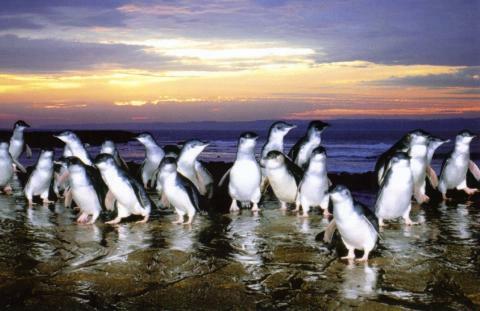 Next visit the the Nobbies Centre before going to see the stars of the show, the Little Penguins. Here you’ll see hundreds of penguins in their evening parade as they make their way out of the water, up and over the sand dunes, and to their little burrows. A natural wonder, this experience is completely unforgettable and definitely something to see while you are in this part of the world.